The VST floppy drive brings more functionality to your USB-equipped Mac or PC. This drive reads and writes standard 1.44 MB floppy disks and has a data transfer rate of 500 KBps. 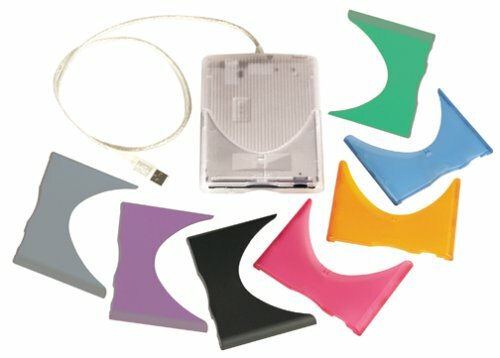 The USB port eliminates the need for an AC adapter, so you can swap files on multiple computers. Six snap-on covers modeled after the iMac colors are included. The VST floppy drive supports Mac OS 8.5 or later and Windows 98 and CE. A one-year warranty covers parts and labor. If you have any questions about this product by VST Technologies, contact us by completing and submitting the form below. If you are looking for a specif part number, please include it with your message.